As designers, I’d say we can all agree the dream job exists as long as it has these three simple qualities; no budget, no timeline, and complete creative freedom. The possibility of that job actually existing? Well, I’ve crunched the numbers and we’re falling at about 0.0001% chance. In non-mathematical terms, that’s about slim to none. You’re probably wondering- What’s got me talking all this crazy? Well, I recently have been working on a project where a budget exists (what’s up with everyone not having a billion dollars like, always?) and to be able to compensate for a potentially expensive design detail, we drew up an additional plan that included a leather sofa they already had. Now, this is just the reality of being in this field. You won’t always be able to use everything all new, for all kinds of reasons. So, jumping through hoops and working with an item you may not be most fond of, can sometimes feel like a limit to your ability to create how you would want as a designer. But, what I’ve come to realize is that this challenge should not hold us back or drag us down, rather it should propel us towards bettering our ability to create! Okay okay, I’m done being motivational. Here are some spaces that have embraced some of their own leather! 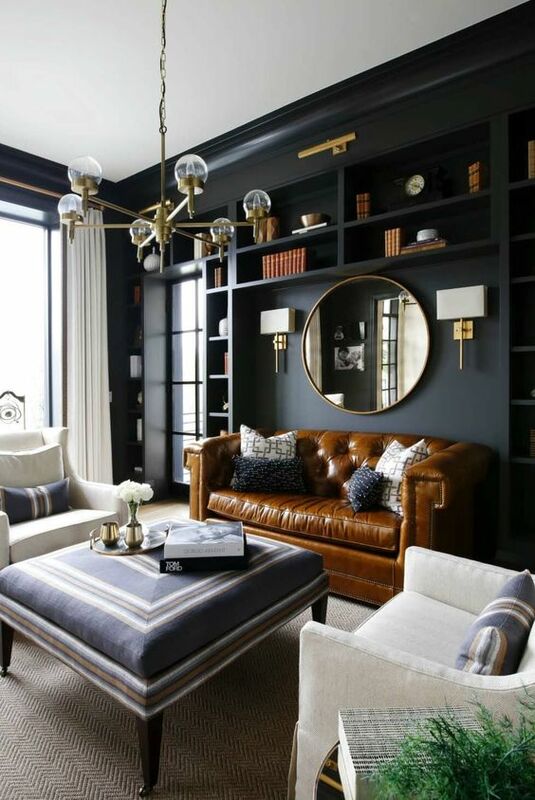 My all time favorite…such an amazingly put together space! Via www.tlcinteriors.com.au. These chairs made their way in almost effortlessly! Another great one via designshopinteriors.com. 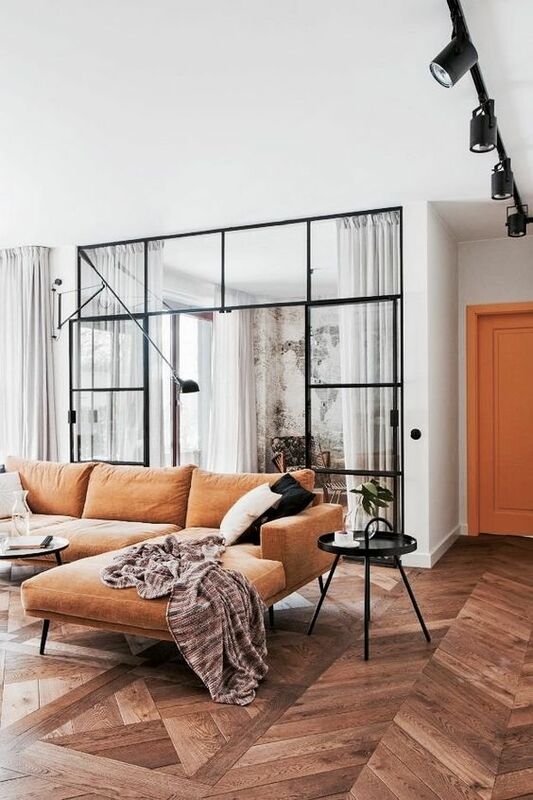 Warm orange tones for the win in this space! Via Pinterest. Luxury bar in your home…say no more! Via adamhunterinc.com. More leather chairs making a statement! 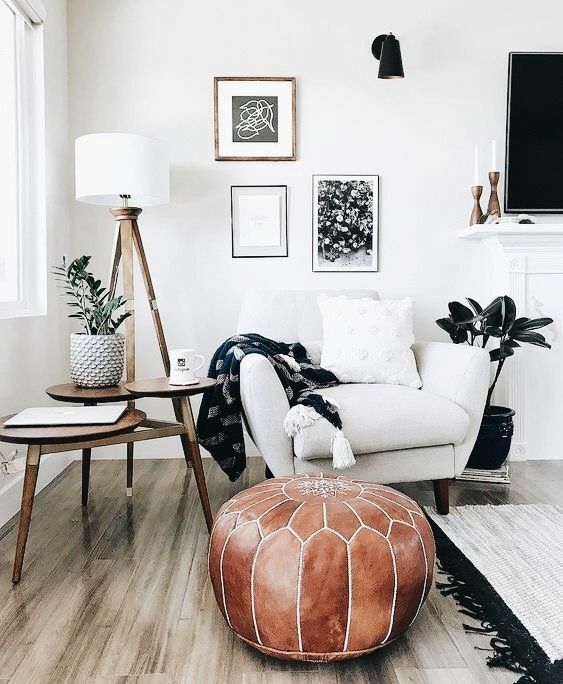 Love the mix of styles in this space! Via decorsideas.com. Just a sprinkle of leather with this ottoman! Via Instagram @amymckeown5. Another dark wall, another leather sofa. Via onekinddesign.com.